They are few stressors greater in life than having a challenging relationship with one’s child. It can be heart breaking to look at the chasm in one’s relationship with them, often unleashing a desire to close the distance or even withdrawing altogether. The challenge is we cannot make a child love or want to be near us. We cannot make a child trust, depend on, or give us their heart for safe keeping. Attachment is something that is built between two people, it does not follow orders or commands. This can lead a parent to ask – is it ever too late to close the distance and get a child’s heart back? The good news is no – it is never too late. Attachment is not a fixed entity and can be cultivated with our kids at any age. Relationships are fluid, permeable, changeable, repairable, and can deepen in vulnerability with time, patience, and good caretaking. Parents are relieved to hear this but often have many questions how this can be done. Sometimes we need to stop and consider how the distance between us got there? This involves more than just recounting incidents but understanding their impact on our relationship with each other. How Do Relationships Get Weakened in the First Place? The most impactful of all human experiences is being separated from the people and/or things we are attached to. Attachment is our greatest need, therefore, it is the experience of being separated or rejected that has the capacity to wound a child (and us) most of all. Whether we intend to or not, our actions and words can create too much separation physically and/or emotionally. When getting close to a parent sets a child up to get hurt on a consistent basis, that child is likely to distance themselves or detach from their parent to preserve and protect their emotional well-being. This is not done intentionally but through the activation of instincts and emotions in the brain that are inherent to human functioning and serve self-preservation. For example, if a child is continuously yelled at, shamed, or receives separation based discipline from an adult (time-outs, 123 magic etc. ), they are likely to back out of attachment with that adult. Being close sets them up to get hurt. The most wounding experience of all for a child is experiencing a lack of invitation where they want one, of not being cared for, lacking a sense of belonging and loyalty, and of significance. A child may also experience too much separation from a parent by not being in enough physical promixity with them. Without consistent regular contact and closeness, a young child may find it hard to stay connected when the feelings of missing are so great. 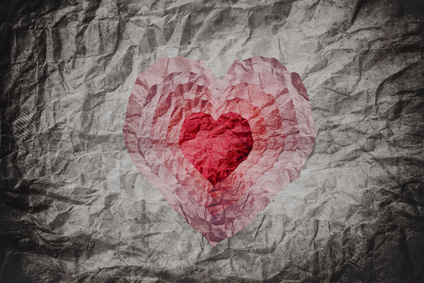 While feelings of missing are a natural by-product of being attached, too much of it can provoke emotional defences in the brain to numb out a child’s feelings, tune out the person, or to detach from the relationship to protect the heart. When trying to engage with a child who is defending against the relationship, a parent may get the cold shoulder or be ignored. This can be short lived or ongoing depending on the level of separation experienced and duration. A further reason for wounding in the parent/child relationship is the parent’s release of unfiltered emotions onto their kids. Relational problems can be created when we are not consistently tempered in our responses to our children and don’t put the brakes on before speaking our mind when upset. Sometimes yells, threats, or other things come out of our mouths before our head can catch up with us to stop us. While we may not intend to hurt our children, sometimes we do harm to our relationship. When emotions flair, it is important to repair the relationship in the aftermath. There are many reasons why our children may experience separation from us. Sometimes we don’t collect them nor engage them enough so they turn to substitutes like technology or their peers. When there is distance between us the relational void will be filled by something else or someone. This makes it challenging to reclaim a child and rebuild one’s relationship because the child has now found ‘safer’ substitutes to hold onto. The good news is that it is never too late for a relationship to be mended but it may take time, persistence, faith, tenacity, tears, caring, compassion, consideration, and patience. While the circumstances behind the challenges in our relationship will be different for every parent and child, there are a few attachment strategies that can be useful in repairing what has been broken. 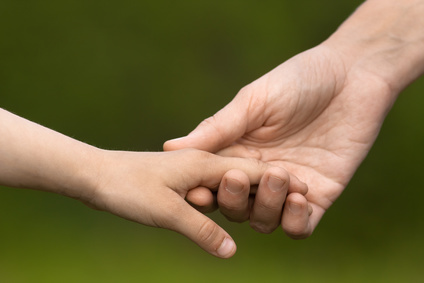 Consider a child’s receptivity to a relationship and bridge the distance – Before proceeding to cultivate a closer connection, it is important to consider how receptive a child is to having one with you. If the cold shoulder is a consistent response, then bridging the distance between you may be the most important thing to do. Bridging means sending a message to the child that you seek a connection with them but will not pressure them to be closer to you than they are comfortable with. This can be achieved in subtle ways like staying near them, doing small things to take care of them, and orchestrating your time together through structure, routines, and rituals – all of which are less provocative than being in close relationship. The goal is to look for signs of receptivity and whether a child is warming up to being around you. It will also be important to be working on changing whatever is driving the separation between you in the first place as well. Take the lead in the relationship dance – The responsibility for the relationship lies with a parent. As children become teens and adults, they do have a greater role to play in the relationship but it still doesn’t negate the need for a parent to hold on and send an invitation for connection. It is our job to take the lead, to bridge the divide, to hold on through the storms, to give more connection than is desired, and to be their answer. It is for us to repair or to mend the challenges in our relationship. We must hold on, lead and find a way through the impasses, and to figure out what is coming between us. While we may be frustrated with the response we get in return, it may signal we need to do more soul searching, be patient, or give it time. Sometimes we can get stuck in our persistence and our children in their resistance. Anger and frustrated responses will get more of the same, we need to change our dance steps and chart a different course if we are going to mend the distance between us. If we have apologies to make then we can do this in simple ways and then get on with the business of caring for them. Collect and engage their attachment instincts – Collecting a child means trying to get in their face in a friendly way or if this is too provocative we can try to get in the same space as them and collect their ears through our voice. We can start with a greeting, sharing something we have in common, or trying to engage the child in conversation or in play. You can talk about the plans for the day or help them with something – there is no shortage of the ways to connect with a child. What collecting conveys is a desire to be close. It is the repeated and unexpected attempts to connect that can slowly make a difference and signal to a child we want a deeper connection. We need to proceed slowly in collecting a child until we see there is receptivity to our invitation. Our expression of warmth, enjoyment, and delight in being around them are the consistent signals to their emotional systems that we are safe to depend on. What if they don’t take us up on our offer for relationship? At the root of our deepest upsets in life is feeling the separation or void from someone we desire contact and closeness with. As parents we can take responsibility for our end of the relationship deal, take the lead in trying to repair what has been broken, and change our responses to reduce separation. Our children may take their time in coming back to us and to this I say – hold on. We don’t know what the path holds ahead for us, relationships have a way of turning around over time with warmth, patience, and a consistent message that we are here. If you had your child’s heart at one time, they will surely be looking on some level to come home to you. Be that safe place to return to and hold on to them as you can. Gordon Neufeld states, “while loving someone may not change that person, it will surely change you.” If we let our hearts grow cold, if we turn away in anger or hurt from the one’s we love, then this will transform us into different people. If we wall off our hearts, we will surely be lost. It is better to find our tears, lean on other relationships that can help us stay the course, and bide our time. All is not lost when we have the courage to hold on and to love our kids through, over, and around the distance that exists between us. We need to hold on and keep making them an offer for relationship that they can’t refuse. Dr. Deborah MacNamara is the author of Rest, Play, Grow: Making Sense of Preschoolers (or anyone who acts like one), is on faculty at the Neufeld Institute, and Director of Kid’s Best Bet, a counselling and family resource center. For more information please see www.macnamara.ca and www.neufeldinstitute.org.